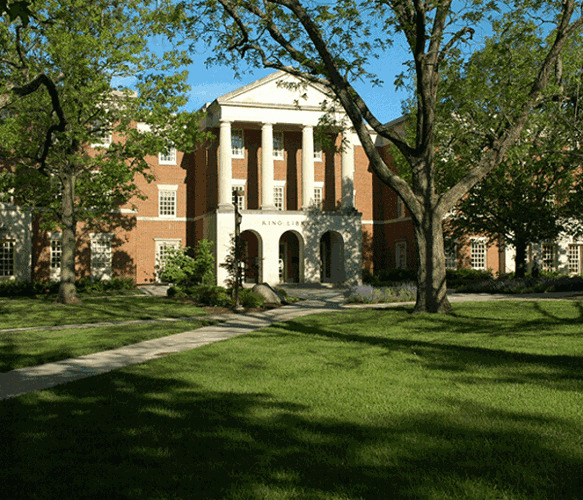 The Howe Center for Writing Excellence at Miami University invites you to join us in beautiful Oxford, Ohio—named by Forbes as the “Best College Town in the United States”—for lively discussions, transformative workshops, and engaging keynote presentations. This year’s theme, Thorny Thresholds: Identity, Transfer, and Assessment, invites us to dig into some of the more challenging aspects of working with threshold concepts. How are students transformed by threshold concepts—and how do we know? How do new understandings facilitated by threshold concepts transfer across contexts? What are differences between threshold concepts (and a threshold concepts framework) and “student learning outcomes”/”standards”/”qualifications” and other forms of institutional assessment of curricula, programs, and learning—and what are the implications of those differences for work with students, faculty, administrators, and publics? How do expectations about "assessment" and "evaluation" of learning differ across countries, and what can we learn from one another in relation to these differences? On the first day of the conference (Wednesday), participants will be invited to participate in workshops on the nature of threshold concepts, troublesome knowledge, and liminality; encouraging transfer of knowledge; and/or designing threshold concept-related research and assessment projects. The evening will conclude with a keynote address on threshold concepts, meaningful research, and assessment of learning. On the morning of the second day (Thursday), participants will hear another keynote on threshold concepts and transfer of knowledge. How have you designed and implemented research about and/or assessment of teaching and learning of threshold concepts and troublesome knowledge? What are possible relationships between student learning outcomes/standards/qualifications, institution-, state-, or national-mandated assessments, and threshold concepts? How can these be distinguished? How can we ensure that threshold concepts are not turned into checklists or lists of skills or outcomes? How do expectations about “assessment” and “evaluation” of learning differ across countries? How have faculty in your programs/institutions worked together across courses to teach threshold concepts and facilitate transfer of knowledge? What have you learned about how exposure to threshold concepts influences identities of the learner? These will be 70-minute sessions with individual presentations of 15 minutes each, and 15 minutes for discussion. Proposers may submit either a whole panel (with three or four presentations) or submit as an individual presentation to be placed on a panel by the program chair. These will be 70-minute sessions in which the group of proposers identifies a specific problem or set of questions they will discuss with attendees. Proposers should clearly identify the questions/problems to be addressed, and how the roundtable session will be facilitated. Proposals for roundtables may not be submitted by individuals, but should instead come from a team of 2-5 facilitators. Does the proposal demonstrate an understanding of threshold concepts and work within the literature of this framework? Is the proposal situated in current theory, research, and practice? Will the presentation engage attendees in new ways of thinking about threshold concepts, learning, transfer, identity, research, and/or assessment/evaluation? Remove identifying information by replacing identifying material (names of individuals and/or organizations/institutions) with an X. This helps ensure the integrity of the blind review process. indicate how they will occupy the niche in the presentation. Proposers should identify the existing scholarly dialogue they are engaging, describe a gap or need for further exploration, and outline the contribution their presentation or roundtable will make. The description of the presentation/roundtable’s contribution should be as specific as possible. For example, will you be presenting results of a study or an initiative? If so, has this already been conducted? What are the benefits to attendees of your session? The proposal deadline has passed, and notifications have been sent out as of January 5, 2018.